“What a joy to visit Christmas, Colo., again! Romance readers will absolutely love this story of matchmaking and passion rekindled. Wedding Bells in Christmas is the very definition of a well-fought-for HEA." "Family, small town dynamics, heartache, guilt, suspense, healing, matchmaking, passion and true love combine to give readers a story they will want to read over and over again. Fans of this series will also enjoy revisiting the characters from the previous books. However, it can be read as a standalone. It is the first of this series that I have read and I had no problem understanding the storyline. But I must admit that it left me with a craving to read the rest of the series. If you enjoy a story told with heart, humor and heat, pick up a copy of WEDDING BELLS IN CHRISTMAS today!" "As with the first three books, in Wedding Bells in Christmas, Mason once again brings us an emotional journey with sizzle, humor and a thread of suspense. Her quirky supporting cast keep things lively and always leave me excited for my next visit to this small mountain town. Her main characters are complex, realistic and deserving of their happy ever afters, even if there are times during their journeys when I want to whack them upside the head - another testament to how real they are." "If you're familiar with this series, you'll find Chance and Vivi's story an excellent addition to it. If you're not, this one is a great place to start. It's not just romance. It's grief and mourning, guilt and truth, second chances and revelations. And it's perfect for anyone who loves series romances, second chance romances, or contemporary small town romances." 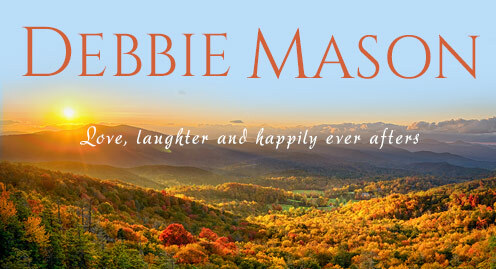 "I'm telling you right now, if you haven't yet read a book by Debbie Mason you don't know what you're missing. Her Christmas, Colorado Series is so good. It's full of great characters, fun humor and at times some very touching moments." ". . . 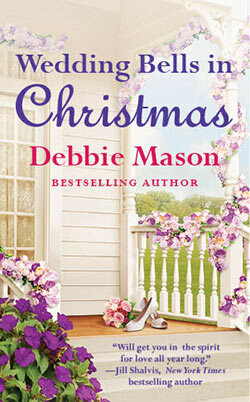 I highly recommend Wedding Bells in Christmas by Debbie Mason to everyone. It’s adorable and hot, a very fun read overall, with a great community that drags you right in." ". . . I have to say that I was blown away by simply how great this book was. It kept me gripped all the way through." "A beautiful and intense story, with just the right amount of suspense."